Read our policy briefing on new Public Health England guidance on the importance of practice nurses educating women about cervical screening. Read our policy briefing on new guidance from Public Health England on the importance of practice nurses educating women about cervical screening. A gynaecologist with a swab for samples to prevent cervical cancer. Human papillomaviruses (HPV) cause more than 99% of all cervical cancers. The UK HPV immunisation programme started in 2008. All girls aged 12 to 13 are offered the HPV vaccine as part of the NHS adolescent vaccination programme. Women aged 25 to 49 are invited every three years. Women aged 50 to 64 every five years. Women over 65 – only women who haven't been screened since age 50 or those who have recently had abnormal tests. Although cervical cancer mortality rates have fallen by up to 70% since the introduction of the NHS cervical screening programme in 1988, there were still 726 deaths from the disease in England in 2014 and a total of 890 in the whole of the UK. Despite the success of the screening programme, screening coverage has fallen over the past ten years. Attendance is now at a 19-year low and dropping across all age groups. Screening figures collected by NHS Digital show that coverage among women aged 25-49 was 70.2% in March 2016, compared with 71.2% in 2015 and 73.7% in 2011. For women aged 50-64, coverage in March 2016 was 78%, down from 78.4% in 2015 and 80.1% in 2011. Public Health England has produced new guidance about making cervical screening more accessible in Health Matters, a resource for local authorities and health professionals. The PHE guidance sets out possible barriers to screening attendance, including cultural and language barriers and deprivation. GPs and practice nurses can play a central role in educating women and increasing attendance for screening, and should be alert to symptoms, the guidance states. Non-attendance for cervical screening is one of the biggest risk factors for developing cervical cancer. Many women have said appointment times are often inconvenient, according to PHE. Practice nurses and GPs should be aware that providing appointment times throughout the day and in the evening will help women to find a time when they can attend for screening. 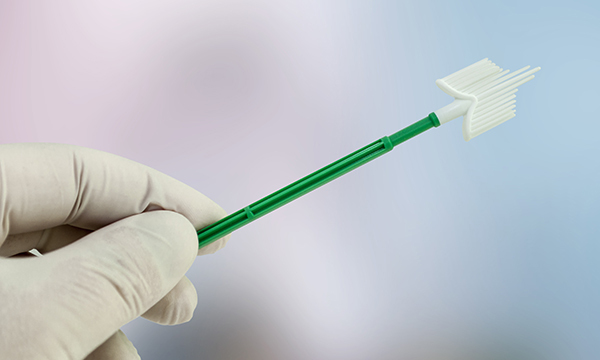 Evidence shows that GP endorsement also has a positive effect on cervical screening uptake. Individual practices should also use PHE’s interactive screening coverage tool to look at screening coverage for their practices and how they compare with neighbouring practices. The data will be updated every three months and will provide more up to date information than the current annual statistical report. ‘Practice nurses at GP surgeries undertake the vast majority of screening, and the ability to make patients feel at ease and better informed about the procedure is paramount. It is important that nurses are well informed, have regular training and are up to date with the reasons why women might not attend.